Urban Air turns Billboards into “Living Cloud Forest”. 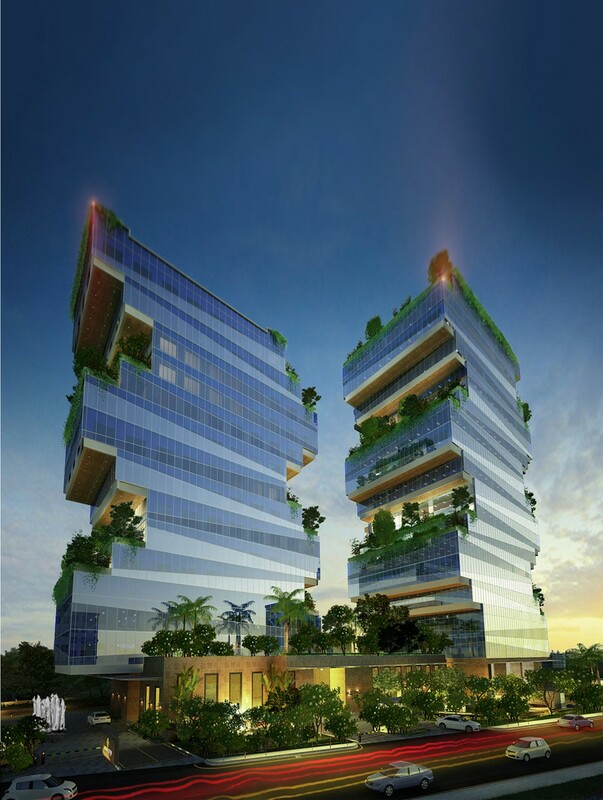 Biowonder-New Green Bank in Calcutta. Living in a Jungle at Home. The “Elok House” is a real Plant-home , it’s not just an interior-plant that makes the trick but in this home a complete jungle or forest makes the difference. With more plants and trees than you can shake a … Lees verder Living in a Jungle at Home. Four Roof-gardens and Forty Birch-trees ; The Muse in London. Inspired by the German Passivhaus approach and technical methods developed by physicist Wolfgang Feist, Bere Architects’ own director Justin Bere started building his own home back in 2002. “The Muse” is a Energy Efficient Solar-powered home located in Newington Green … Lees verder Four Roof-gardens and Forty Birch-trees ; The Muse in London. The Travessa Vertical Garden Home. This house build in 2012 has great plant-features , the first great green wall is the front of this Residential Single Family House. The green walls are perfect for the climate-control of the house, in the summer they absorb sunlight … Lees verder The Travessa Vertical Garden Home. New Klyde Warren Park Built over I-35 Freeway in Dallas, Texas. Dallas residents have a new public park opened last saturday , the Klyde warren park. The park adds the much needed green to this city. The park is built on a cap over the I-35 freeway and it reconnects downtown Dallas … Lees verder New Klyde Warren Park Built over I-35 Freeway in Dallas, Texas. Nathan Phillips Square Podium Toronto Largest Roof Garden of Canada. The original design for Nathan Phillips Square podium in Toronto,Canada is from Finnish Architect Viljo Revell as a public ceremonial space made accessible by a giant sculptural ramp.This space proved to be a grim, paved void, remaining closed to the public … Lees verder Nathan Phillips Square Podium Toronto Largest Roof Garden of Canada. A Bridget the Midget Home in Wales. 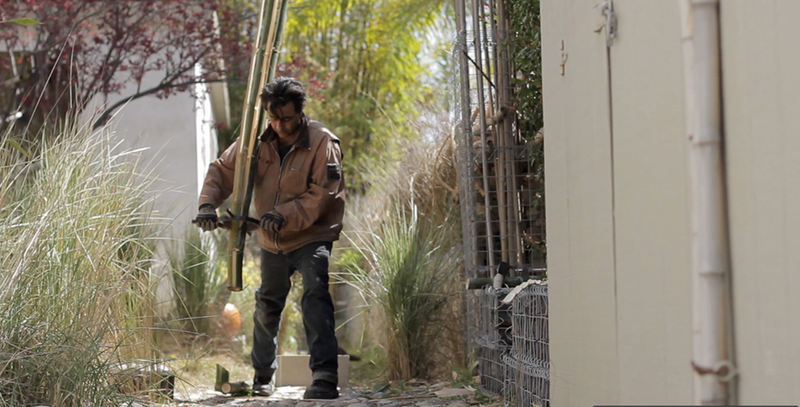 A budget of 3000 Pounds was all there is to build a home by Simon Dale . Simon had to prove he could be the Architect and Builder all at the same time. and he managed. With £3,000, a few … Lees verder A Bridget the Midget Home in Wales. Natural Curtain by Tokyo Home. A great idea, planting a natural sun-screen , helps cool the house and creates a great green view. Architects Hideo Kumaki planted this natural curtain by a Tokyo home. Creating an aesthetically pleasing view from the kitchen. The curtain will … Lees verder Natural Curtain by Tokyo Home. Live Algae Used In World’s First Bio-Adaptive Facade. In 2013 the International Building Exhibition (IBA) is being held in Hamburg and there will be a lot of attention for Green buildings. When it comes to sustainable buildings , nothing gets greener than this building. The world’s first bio-adaptive … Lees verder Live Algae Used In World’s First Bio-Adaptive Facade. Volet végétal from Barreau&Charbonnet on Vimeo. The Volet Vegetal is a DIY-construction for plants in your window,with this invention you can have plants hanged out or inside. Growing outside and harvesting inside is made easy with this great. Lees verder Grow Outside, Harvest Inside. Great Green Street in Spain. We all now how important green is for our environment. The people in this street in Sitges,Catalunya Spain must be happy when looking at this view. Lees verder Great Green Street in Spain. The (Amsterdam)Watergraafsmeer Garden-studio by CC-Studio. Having a garden in Amsterdam is a great gift and most of the time these Amsterdam City-gardens are quite small. Having a garden-shed can be a problem,living so close to each other a shed can be real obstacle for your … Lees verder The (Amsterdam)Watergraafsmeer Garden-studio by CC-Studio. Beirut is a concrete and pollution mayhem. Ironically, the high pollution levels are not caused by the industries that they do not have, by the crippled political system, by armed militias or by foreign interferences, but instead, it is a … Lees verder The Beirut Wonder Forest. Great Vertical Gardens in Quinta Patino Home,Portugal. This grey rectangular home is situated in Estoril,Portugal, the home is over 700 m2 in volume . Vertical gardens are used in the several courtyards in this great home. The design is from FVArquitectos. Lees verder Great Vertical Gardens in Quinta Patino Home,Portugal. This is a dream for every Urban Garden Lover ,absolutely Beautiful . Green is all over the place, a perfect living wall in the bathroom and green roofs outside .This penthouse on 684 Broadway is built with the philosophy of … Lees verder 684 Broadway for sale. Bryant Park designed for the future. In the early 1900’s Bryant-Park was slowly deteriorated. The poor design of the park made it unappealing for the public.Public Gathering place ,stairs,walls and overgrown greenery sectioned off the space into small isolated pockets and prevented positive community interaction. Despite re-design … Lees verder Bryant Park designed for the future.